He’s one of the most powerful men in the world. But chances are, you’ve never heard of him. That’s because he prefers to work behind the scenes – decimating financial systems, manipulating democracies, and weakening the United States. His name is George Soros and his accomplishments read like a page from the rich and devious. This billionaire former hedge-fund manager is known in Europe as the man who broke the Bank of England. Some also charge his speculation precipitated the 1997 Asian Financial Crisis. He’s been banned from doing business in China and has been fined for insider trading in France. Soros’ tactics are alarming. But what’s even more alarming is the vision he’s trying to foist on America and the rest of the world. 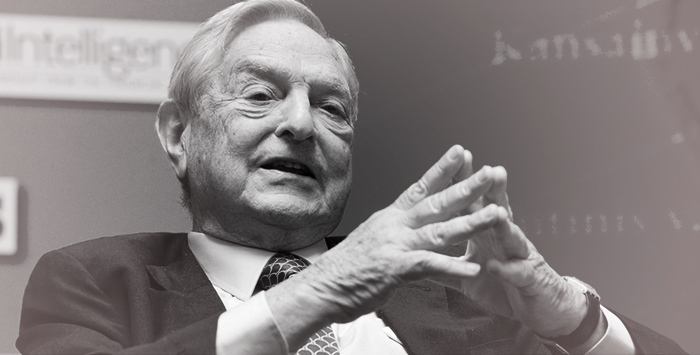 For Christians, Soros’ utopia reads more like an apocalyptic nightmare. His global government sounds eerily like something out of Revelation. And, his distaste for truth could spell persecution for Christians who don’t conform. The world order Soros advocates would be governed by the United Nations: national sovereignties would be weakened, if not abolished altogether. This so-called Open Society would be a democracy, but also would include certain mechanisms for the redistribution of wealth. Citizens would be expected to sacrifice for the common good – even if that would mean compromising their personal beliefs. Beliefs would be considered merely choices, not truth. In fact, if there’s one thing Soros really hates, it’s the notion of Universal Truth. But, it’s hard to know how seriously to take his grandiose notions. Soros, however, is very serious. He currently has foundations in 25 countries promoting his open society ideal. And on January 20th, the candidate Soros supports is poised to become the leader of the free world. Barack Obama and Soros have ties that go back to 2004 when Soros helped fund Obama’s run for the senate. And, just a month before Obama announced his campaign for the presidency, he met privately with Soros and then met a dozen of Soros’ billionaire friends. Then in 2008, MoveOn sent Obama an army of volunteers and a huge fundraising base. The United States is hardly a Soros open society now. But, let’s pray it never becomes one. *Dean served as chairman of the Democratic National Committee from 2005-2009.